Sadly, it's just some marketing stunt. Next year is 2015, and at long last, we'll all live in the same year depicted in Back to the Future 2. Now, if we could just find a bunch of working hoverboards and auto-fitting jackets--oh, wait, here we go. 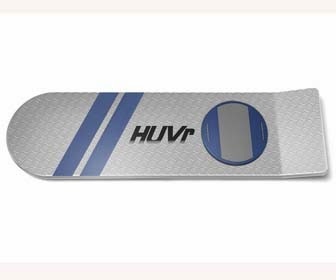 A website has started making the rounds today, with a company called Huvr showing off what they claim are working hoverboards. And then Tony hawk rides one while obviously hanging from wires. Huvr is supposedly a team of MIT physics graduates who have miraculously discovered the power of antigravity, and amazing enough, somehow managed to keep all of this a secret from the world until now. The "company" even goes so far as to let celebrities like Moby and Billy Zane try them out. Doc Brown himself even makes an appearance, and well you can see where this is going. So, what is this all about? We're not entirely sure, but someone has spent quite a lot of money to make sure this Huvr prank goes viral. Maybe Back to the Future 4? Maybe a new Back to the Future ride at Universal Studios? Maybe this is all real and we can buy hoverboards? Either way, it's kind of ridiculous.